CA. Bhagwan Lal is a throughout First Class Graduate with distinction in B.Com (H) in 1994. He is a fellow member of The Institute of Chartered Acountants of India (ICAI). He is also an Associate Member of The Institute of Cost and Work Accountants of India (ICWAI) and Licensee of The Institute of Company Secretaries of India (ICSI). He has secured 41st Rank in the CA Final Examination in Nov. 1996 and 44th Rank in the CA Intermediate Examination in May 1995. He secured All over India 1st Rank in CS Inter Examination in June 1996 and also All over India Topper in ICWAI Inter Examination in 1999. After professional education, He worked in World's biggest Organisation "City Bank" and also in India's biggest company "Indian Oil Corporation" in managerial capacity. After getting practical experience of Business environment, He started his teaching career. 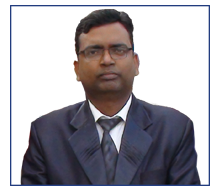 He has been faculty member of Advanced Acounting at The Institute of Chartered Accountant of India. He is also a faculty member of the Subjects - Advance Acounting, Cost Acounting & Financial Management in various Management and Professional Institutes. His technique of approaching the subject matter, guidelines for preparation of Examination & scientific method of teaching are quite popular among students. His area of specialisation include Advanced Acounting, Cost & Financial Management, Accounting Systems, Decision-Making and Internal Control Audit. At Present he is a Professional Financial Consultant and Faculty of Advance Acounting, Financial Management & Cost Accounting.